If you would like to add me to testimonials here is a picture i posted on FB. AWESOME product. Very well made and easy to assemble. 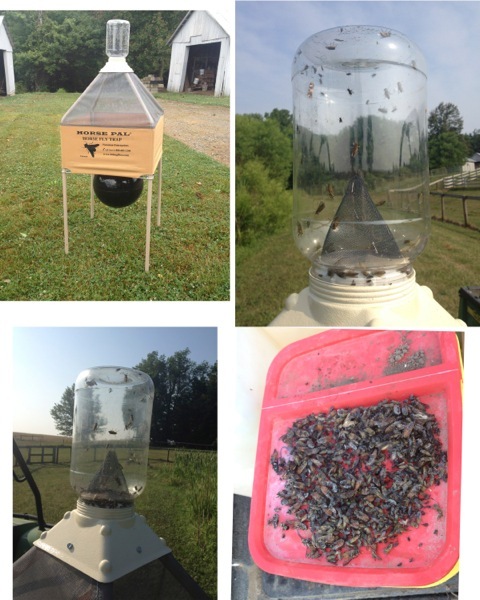 This picture shows top left day one, top right 6 hours later, bottom right day 3, bottom left 1 weeks worth of dead horse flies, green heads, deer flies and even a few hornets! I have already noticed a decline in the population and I notice the horses out during the day more often. My husband made fun of me when he saw this and found out how much it was. Now he is telling others about it and says it's worth every penny!